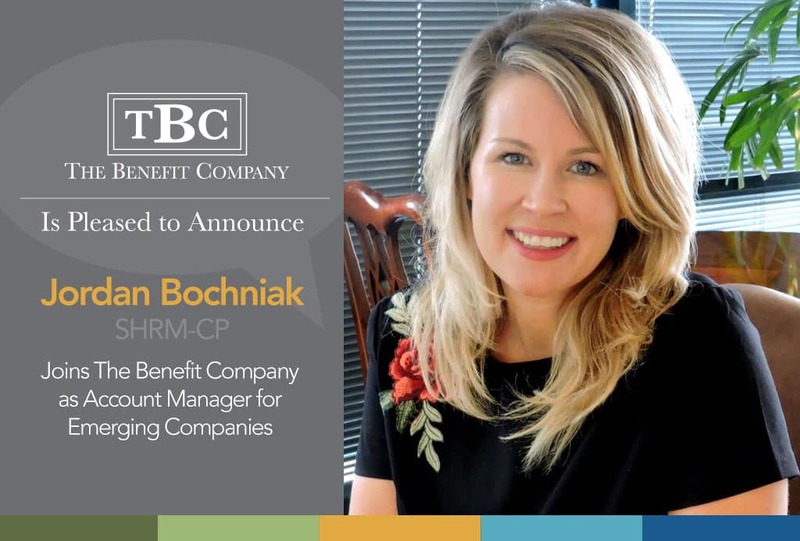 Atlanta, GA – Executive and employee benefit consulting firm, The Benefit Company (TBC) is pleased to welcome Jordan Bochniak. Upon graduating from Auburn University’s marketing program in 2006, Jordan began her career in marketing and business development. Her desire to help clients and proactive methods of finding solutions led her into the human resources field. Jordan earned her SHRM-CP certification and served as Director of Human Resources for two Atlanta organizations in the engineering and logistics/supply chain industries before joining The Benefit Company. Jordan serves as an Account Manager for TBC emerging companies and as Project Administrator, assisting as a special project resource for clients as well as an internal resource for TBC. Her human resources background provides her with a unique perspective from the client’s point of view. The Benefit Company (TBC) is an executive and employee benefit consulting firm aligned with the best interest of our employer clients and their employees. TBC is passionate about challenging the status quo – choosing the harder right over the easier wrong. Our private ownership is a meaningful differentiator, providing a mindset of investing in long-term strategies aligned with the client’s best interest.